The recent weeks have marked a significant increase in the bilateral diplomatic activity between Russian and Egypt. It all started with the visit of the Egyptian Foreign Minister Nabil Fahmy and Egyptian Tourism Minister Hisham Zazou to Moscow. It was succeeded by the two groups of the Egyptian public representatives visiting Russian capital within a short time span. These groups were primarily composed of the leaders of the influential Egyptian political parties along with former high-profile authorities. Then on November 11 the Russia’s missile cruiser Varyag docked in Alexandria Port making it the first Russian warship to visit Egypt in a long while. A few days after this event, Cairo witnessed the negotiation of two the Russian Ministers, Sergey Lavrov and Sergey Shoygu with the Egyptian authorities. This outburst of activity is no accident. 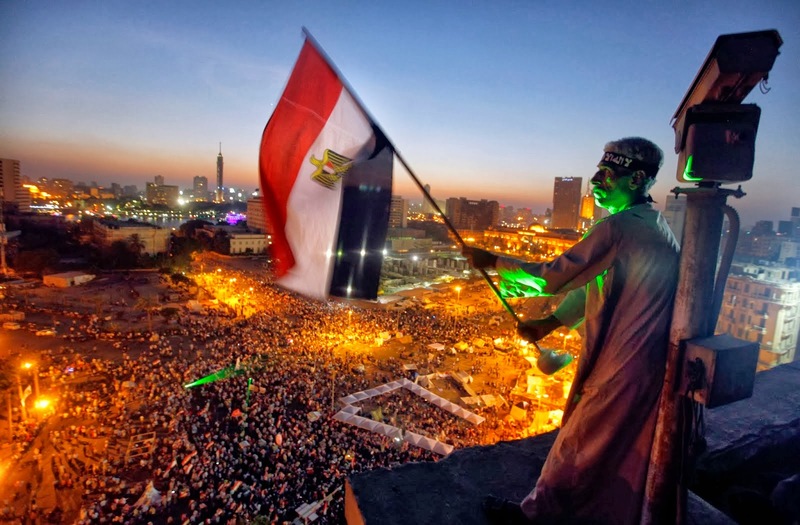 The left-wing liberals that came to power after the toppling of the former Egyptian president Mohamed Morsi are redesigning the Egyptian foreign policy. The US has been the main geopolitical ally to Egypt for over five decades, since the times of Anwar Sadat. After the Egypt–Israel Peace Treaty of 1979 the United States has been providing the 1.3 billion dollars of military aid each year, along with the economy support funding of 815 million dollars that has been cut in half in the recent years. For this “courtesy” Washington has been demanding Egypt to follow its changing interests in the Middle East, that at times opposed the interests of Egypt and its people. Hosni Mubarak, once he was elected President in 1981, started to rebuild the ties with the USSR that had been demolished during the Sadat era. By 1990 the bilateral relationships were restored to a point where two countries could cooperate effectively in a number of areas, the positive trend prevailed. But, out of the blue, the USSR ceased to exist. This news came as the most unpleasant of all surprises to Cairo. Being in the 90s on a number of trips to Egypt myself I witnessed the talks of the disastrous consequences that the USSR disappearance had inflicted on the Egypt myself. “You left us tête-à-tête with the United States” – that’s what the people were saying. While the former Russian President Boris Yeltsin was in power, Egypt was of little interest to Russia, despite the fact that the bilateral ties were improving slowly. The new century has brought a change. The trading relationships between the two countries improved, the numbers were skyrocketing, the relationships took a turn for the better. Hosni Mubarak started visiting Moscow, the Russian presidents returned visits to Cairo, Vladimir Putin visited Egypt in 2005, four years later his successor Dmitry Medvedev went to the shores of Nile. The two countries have signed a document declaring the bilateral strategic partnership. Back in 1955 the developing military cooperation between Egypt and the USSR did make a change. This allowed Egypt to establish its independence, make a step forward in the socio-economic development and to take in 1973 back the lands in Sinai that had been occupied by Israel. The memories of the Egypt that was able to stand for itself lives in the older generation of Egyptians. This was one of the reasons for Egypt’s turning to Russia after the toppling of Mohamed Morsi. But definitely this was not the main reason. The thing is Russia, with the support of China, India and Brazil has managed to get Syria out of harm’s way. That’s why Syria did manage to escape the military aggression of the United States. This showed the world that Washington cannot make its own decisions, disregarding the will of the rest of the World anymore. The fact gave Egypt a chance to re-balance its foreign policy ones and for all. There’s no returning the past. In the recent decades Russia as the World itself has undergone through a major change. Today the formula “one friend till death tells us part” is not working anymore, and Egypt can establish cooperations with a number of countries that won’t harm its own interests. Vladimir Belyakov, PhD in historical studies, he is a senior researcher at the Russian Academy of Sciences Institute of Oriental Studies, exclusively for the online magazine “New Eastern Outlook”.